Spend all your funds on holiday gifts? You can still travel next year to these budget-friendly destinations. 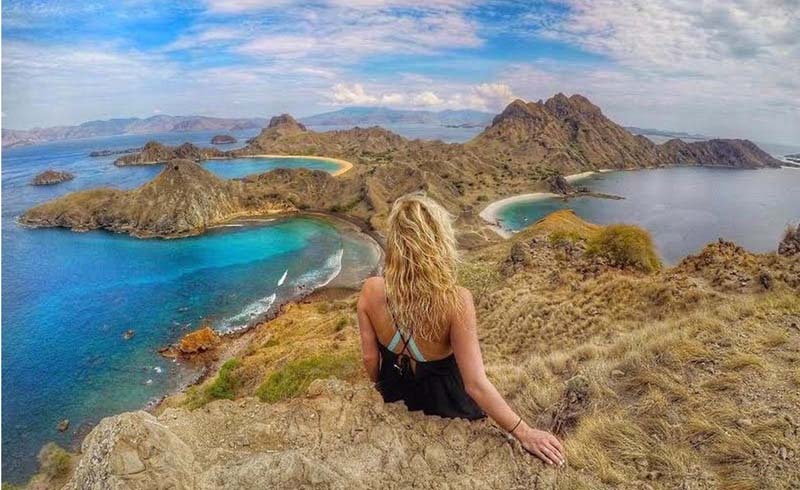 As the holidays wind down and you start to think about your 2019 schedule, traveling the globe (or at least getting a few new passport stamps!) might be top of mind. Unfortunately, you may have already spent your hard-earned funds on pricey gifts for friends, or on Thanksgiving and Christmas travel to visit your family. Luckily, you can still plan exciting getaways for this year ahead. There are plenty of destinations out there where you can travel on a limited budget. So set your Google flight price alerts, keep your duffle bag handy, and get ready to jet set. Columbia has it all: volcanoes to hike, beaches to lounge on, and cities that are architectural wonders. Now that it’s a lot safer for tourists (at least in major cities), the country is becoming a popular budget getaway. Flying to Bogotá takes less than four hours from Miami, and even if you spend more than you’d like on the flight, a nice meal once you land will only set you back about $10, while a beer will cost around $3. Best time to visit: Columbia experiences rain in much of the country in October and November, while Bogota and Medellin are also rainy in April and May. December to February is peak tourist season, so prices will be highest. If lush jungle, beautiful beaches, beginner-friendly surfing, and just spending time at the spa appeal to you, put Bali at the top of your list. Even though it is thought of as a luxury honeymoon destination, it can be a very affordable getaway for anyone. For example, you can find accommodations ranging from as low as $10 a night for a bed at a hostel, to beachside hotels for a $50-$100 a night. The hour-long massages for under $20 are just extra incentive to pack your bags. Best time to visit: April to October is the dry season and high tourist season, but you might find the best deals from January 9th to June 30th. You love traveling to Europe—the beautiful cities to explore and delicious food to enjoy. Cities like Paris, London, and Rome are so expensive, though! That’s why you’ll want to put Albania on your radar. It’s still far, far off the beaten path, so you can score amazing deals. Center your trip around the capital city of Tirana, where you’re most likely to find English speakers. But keep a lighter backpack at the ready and take a side trip to visit the coast. You’ll find beautiful beaches that rival the Greek Isles for a fraction of the price. Best time to visit: Visit from June through September/October for beach weather and less crowded beaches. If you’ve been dreaming about visiting Morocco, don’t rule it out just because you’re on a budget. Look for budget airlines connecting through Europe and you might find a great flight deal—pack a neck pillow and a small carry on and you might not even notice you’re flying a low-cost airline. Once you’re there, book private rooms inside guesthouses to get the best value for your money. You can also eat well by avoiding tourist-heavy restaurants and sticking to market stalls and teahouses. As for activities, pack a daypack plus your other essentials and enjoy some beautiful hiking and backpacking outside of the major cities to save even more money. Best time to visit: Plan a trip for October through March for the best deals, but understand that the Christmas holidays specifically will be pricey. In the past few years, you’ve probably seen your Instagram feed blow up with Portuguese tiles and wine from Lisbon and Porto. But none of your friends have probably ventured out to the Azores islands, yet. 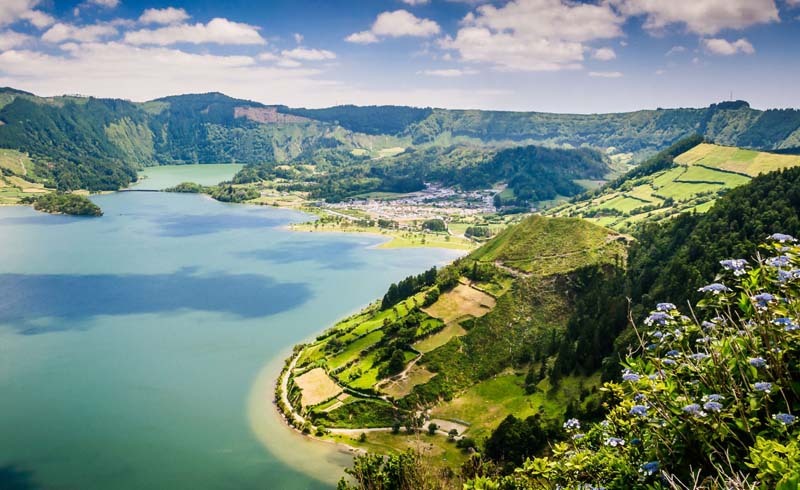 And that’s too bad, it’s less than a five-hour direct flight from Boston to the island of Sao Miguel. Once you land, you’ll find pristine landscapes, volcanoes to hike, and vineyards to check out. Plus a hotel room will only set you back about 45 Euros a night, or you can stay in a hostel to save even more money. Best time to visit: From May to September the weather will be warmest, but it will be crowded in July and August, so book in advance for the best deals. Don’t let your budget hold you back from traveling. You might cross Hawaii and Bermuda off your list, but there are still plenty of cool destinations out there that are friendly on your wallet.